Girls were always his weakness. Whole college knew his reputation but charm in his face,magic in his voice and confidence in his attitude made him wish of every girl in the college. 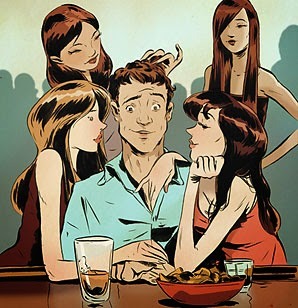 Girls got attracted to him and fall in his love even being aware of that he changes girlfriends like clothes. He wanted a new girl by his side daily. It was also the fact that these girls who roam,dine,enjoy with him,receive gifts from him never care to love him,as he was using them for time pass,he was also the time pass for all these girls. The void of true love was always there in Akshay's heart. His mother died at an early age and his father never bothered what he was doing in his life. His close friend John was his only support. He remained with him in all his good and bad times. He always told him that only true love could change him but Akshay believed that true love didn't exist. But as they say nobody plans love it just happens. Twinkle became that catalyst. At first sight of her his heart started beating fast. She was a new admission in the college. The glance of her made whole world static for him. He got those vibrations of love where one decides to spent one's whole life with someone. He said to himself that she was the one made for him. He changed that day,no other girl but Twinkle was his only choice. First time in his life he found difficult to communicate with a girl. His feet trembled as he tried to approach her. He told his condition to his best friend John," What should I do now?" He laughed," You are taking advice for a girl from me. Sorry friend! I can't help in that and you know very well that I don't have any interest in girls." So the ball was again in his court. He decided to talk to her without thinking about the result. " She is also a girl,she will accept my friendship." What will happen next? Will Twinkle become his next girlfriend or god has some interesting plans for him. Do read the next episode on 9th April 2014. Today's alphabet is G and its UBC Day 8. Girls are the weakness of a lot of guys. He he.. this is what happens. Its one thing to flirt around, but when you meet "her", you fall short of words! Staying tuned!